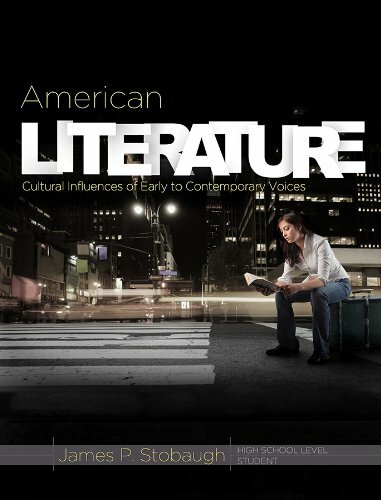 A complete year of high school American literature curriculum in a clear, concise format! Overview: Students will be immersed into some of the greatest American literature ever written in this well-crafted, 34-week presentation of whole-book or whole-work selections from classic prose, poetry, and drama. Features: Each weekly chapter has five daily lessons with clear objectives, concept-building exercises, warm-up questions, and guided readings. Equips students to think critically about philosophy and trends in culture, articulating their worldview through writing. Easily combined with the American History course from Master Books to take students through historical settings and philosophy, as well as a critical analysis of literary thought across the centuries. Literary content covered in this volume includes works by: William Bradford, Edgar Allan Poe, Frederick Douglass, Stephen Crane, John Steinbeck, Henry Wadsworth Longfellow, Emily Dickinson, and many more selections of the finest in American literature. Additional readings not included within this text are available at local libraries or as free online downloads. If you have any questions about this product by New Leaf Publishing Group, contact us by completing and submitting the form below. If you are looking for a specif part number, please include it with your message.